Welcome to Day #6 of Chocolate, Honey and Almonds Theme Week. WB Kitchen (Loveland, CO) is mindful about the ingredients in their bars and cookies. 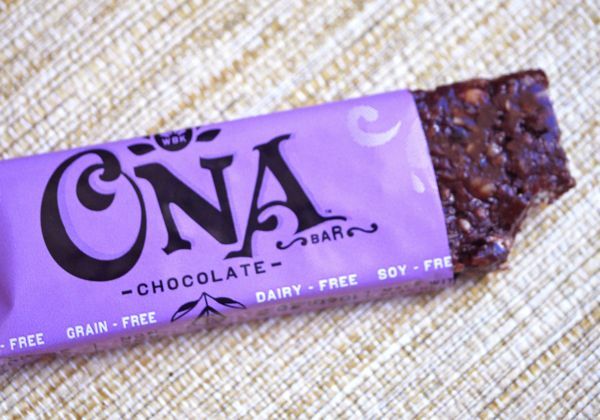 Today's ONA Chocolate Bar was moist, chewy, honey-sweetened, and filled with nutty taste and texture (almonds, pecans, sunflower seeds, walnuts, and coconut bits). 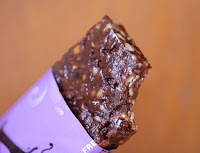 The chocolate flavor in this certified gluten free and paleo bar was provided by unsweetened cocoa powder and cocoa nibs. I asked WB Kitchen president and founder, Chris Feuille, about the honey they use in their organic offerings. *The company makes their coconut milk in-house "because all commercially available ones contain guar gum or preservatives and we do not put those in our products ever." **Note: WB Kitchen uses honey from a family-owned, supplier, Colorado Honey Co., in their cookies.